The KioCube is a multi-touch coffee table featuring a 19” touchscreen and is ideal for office, retail and hospitality environments. 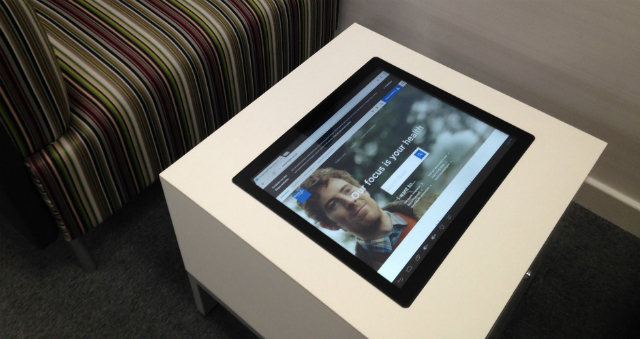 The touchscreen sits flush into the table surface, with a stylish toughened glass finish. An Android PC is provided as standard, with a Windows PC option available at additional cost. Android provides a fast and easy way to download apps to create content, or to show your PDF brochures or website. Our coffee tables are designed to allow drinks to be placed on the surface. 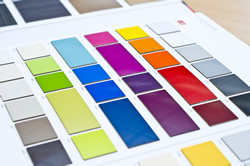 Our touchscreens have a high level of water proofing to ensure that liquid spills are easily wiped away. Unlike other touch tables, the KioCube™ is made in bespoke furniture finishes, which ensure that the table compliments your existing furniture or interior. 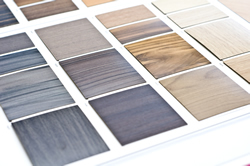 There are over 300 wood and solid colour laminates to choose from. Unlike traditional standing height touch screen kiosks, the KioCube™ is stylish, elegant and can be incorporated more easily into visitor relaxation and waiting areas. It encourages your guests to sit down, relax and interact with your brand, products and offerings. Unlike an iPad the KioCube™ provides a mixture of guest entertainment, information and interaction in a design that’s theft resistant, vandal resistant, spill proof and extremely hygienic. To get pricing and availability for the KioCube or any of our products, please call us on 0151 8080 180 or get a fast quote via our enquiry form.